Are we having fun yet?? I quickly texted a picture to Conner to ask his permission because 1) I know nothing about hanging a light fixture 2) $15.00 for something that may or may not work was a little crazy to me. What can I say, I am frugal. Conner replied that it was a chance worth taking and to pop that tag. As I was checking out, I realized I had a coupon for 50%. 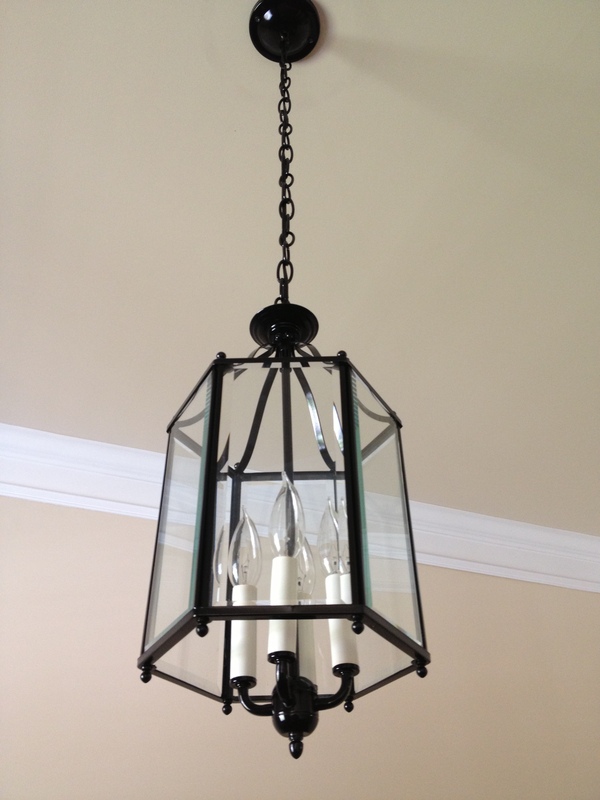 Hooray for an $8.00 light fixture. Off to my local hardware store to find some black spray paint. After the supplies were ready, we popped the glass out of the frame (only after I got frustrated from ramming glass shards into my pretty little fingers). Once I had just the frame, I taped off the light part and then made a painting booth in the basement (it was raining). The booth consisted of an open window, a trash bag, some tape, and a plastic table cloth. Make it work. I am so excited for the finished product. This light turned out perfectly and Conner was able to hook it right up to where the builder-grade light formally sat. 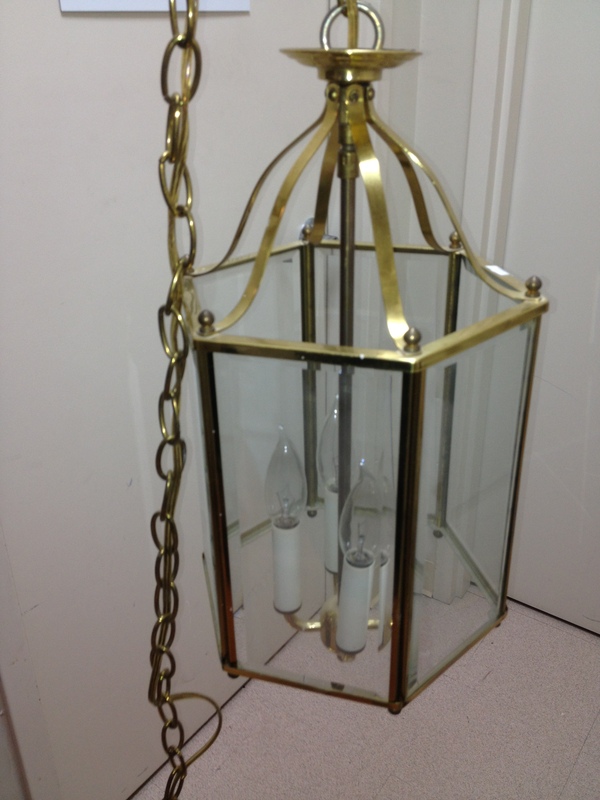 I say for $15 total this gold fixture turned black lantern was a win. Hooray for trash to treasure. 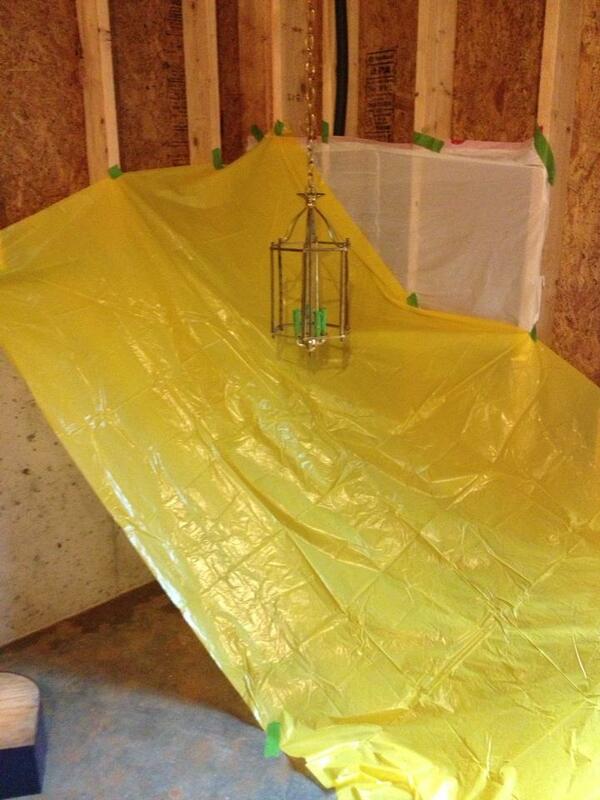 This entry was posted in DIY Projects and tagged home improvement, thrift store. Bookmark the permalink. Thank you so much for posting this! 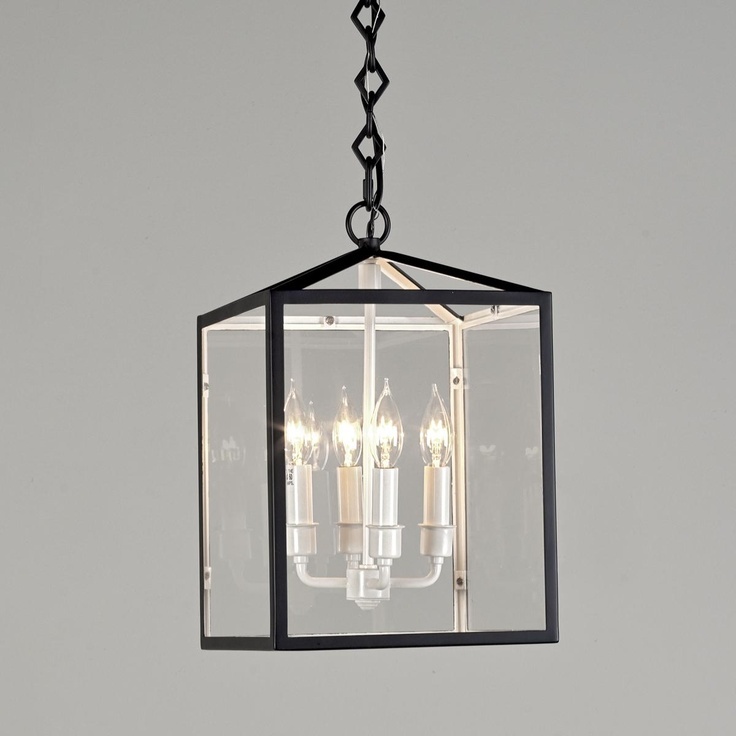 I just pulled this EXACT fixture from my neighbor’s trash. I thought it look good in either black or ORB. It’s great to see how it will turn out. Good luck with your light! Hooray for someone’s trash being your treasure!